Normally I don’t eat breakfast. I drink a cup of black coffee and a small glass of orange juice, and then I’m off. A big breakfast makes me feel leaden, and that’s not how I want to begin a work day. Today, however, I had breakfast with my siblings at Bob Evan’s. It was jammed, of course. 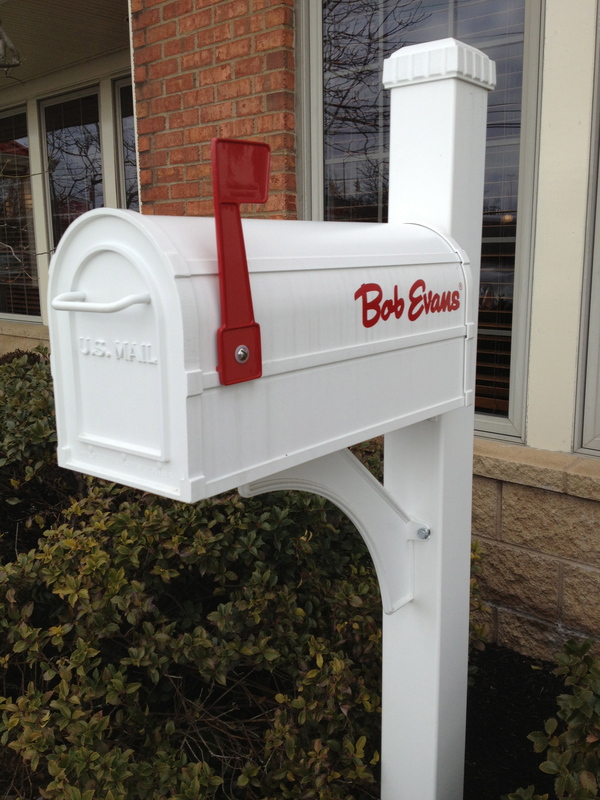 If you go to a Bob Evan’s in central Ohio during the morning hours, it will be packed. People like it because the food is of good quality, the wait staff is competent and friendly, they keep your coffee cup and water glass filled, and they don’t shove you out the door if you want to chat a bit after your meal. I had a bottomless cup of well-brewed, medium strength coffee and the sausage gravy biscuit breakfast. The biscuit was fluffy, the gravy was not salty (a common problem with sausage gravy at many diners) and chock full of sausage, there was enough gravy to cover my finely shredded hash browns, and it all was topped with an egg. The dish was a steal at $5.99. So what if most of the people who eat at Bob Evan’s are charter members of AARP? It’s a nice place that follows a time-honored recipe for business success: provide customers with excellent value for their hard-earned money. And speaking of charter members of AARP, I thought it was interesting that UJ didn’t even need a menu. He’s a Bob Evan’s regular who gets the same thing every time he visits. What does that tell you? 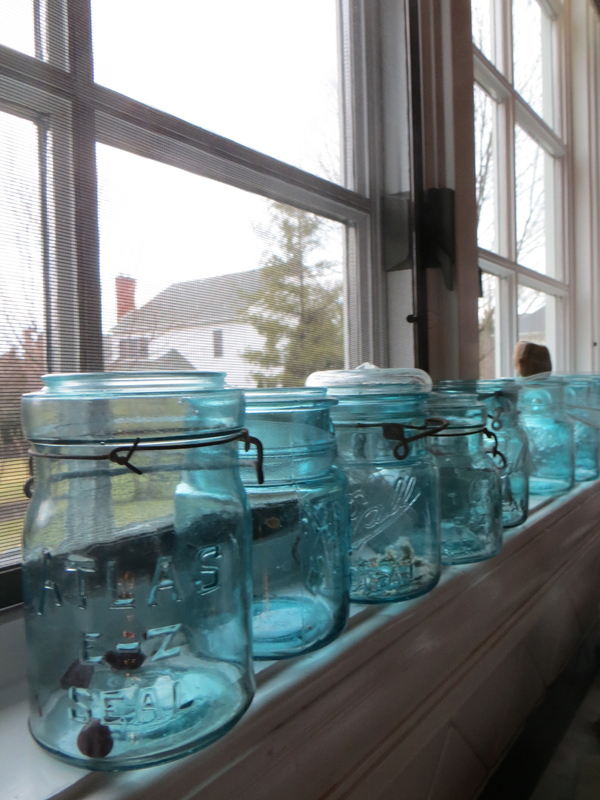 The windowsill above our kitchen sink is topped with a collection of blue glass jars that we inherited from Kish’s mother. They were hard-working, functional items that probably have been used to can countless batches of jams, jellies, fruit compotes, and other concoctions over the decades. I imagine the blue tint to the glass had some practical application, too, such as keeping the light from interacting with the jar’s contents. But now, graced with the patina of age and no longer used for commonplace purposes, they have acquired a distinctive, translucent beauty. They make a fine complement to our kitchen window right above the sink, adding a bit of delicate color even on those dreary February days.